Must see this incredible tri-level, single-family home in a fabulous Northglenn neighborhood with NO HOA dues! This home features 3 bedrooms and 2 bathrooms. The main level offers a living room with vaulted ceiling and skylight, kitchen and dining area. Upper level has 2 bedrooms and a full bath. Lower level boasts a third bedroom, Â¾ bathroom, laundry closet, and family room. Fresh, newly painted interior, Pella windows, new carpet, a Rinnai hot water heater, and a freestanding storage shed are all added bonuses. The home and shed roof are both brand new. 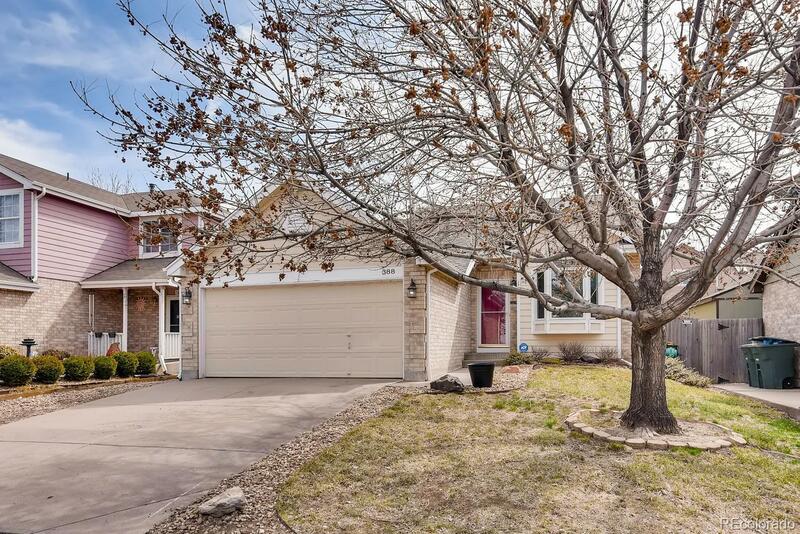 The family room leads out to the big fenced back yard with a patio perfect for entertaining! Front and back yard are ready for your creative touch and a green thumb! Short distance to Park-n-Ride, I-25, parks, restaurants, retail and grocery stores!